How do you know when two television correspondents are in the same parking lot pretending that they are in separate locations? When you can see the same cars going by in both screens. 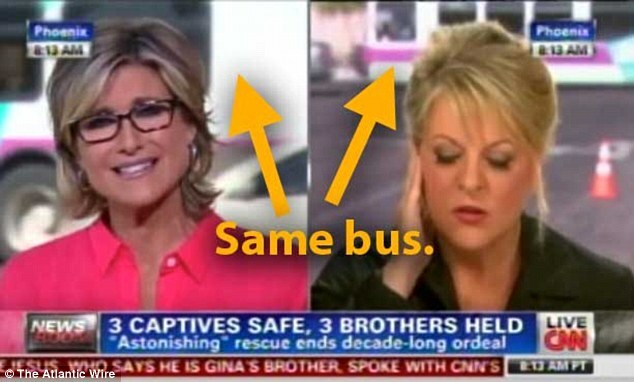 Producers at CNN apparently thought viewers wouldn’t notice that anchors Nancy Grace of HLN/Headline News and Ashleigh Banfield of Newsroom were standing no more than 30 feet way from one another as they manipulated the footage and placed Grace on Banfield’s right instead of her left. The blatant visual gimmick aired Tuesday morning as the two correspondents reported on the latest details behind the horrific Cleveland kidnapping story and pretended they were conducting a remote interview, as the Atlantic Wire pointed out soon after. At a glance the morning segment on CNN might have seemed like a real satellite Q&A as Banfield feigned to interview Grace, a leading commentator on deviant crime, from a separate location. But the segment’s background, including the same building and passing cars, quickly showed that both of the anchors were at the same location in Phoenix, Arizona. 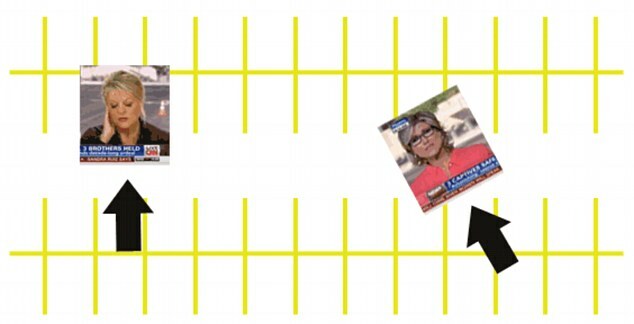 Banfield later conducted an interview about murder suspect Jodi Arias with another HLN anchor who was in a different location than Grace, but still in the same parking lot, the Atlantic Wire reported. Grace and Banfield typically appear on two different networks. However, both are employed by CNN’s parent company Time Warner. CNN did not return requests for comments from MailOnline on their reason for manipulating the Banfield interviews. One can only speculate that it was the give the Newsroom segments a more news-like feel.